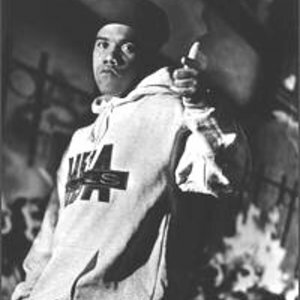 K-Solo, aka Kevin Self Organization Left Others, is a New York MC best known for a style of rhyming that involves spelling out words, which was showcased on the popular song, Letterman. Originally from Brentwood, Long Island, K-Solo (born Kevin Madison) grew up with EPMD's Parrish Smith and -- along with Redman and Das EFX -- a part of the Hit Squad family. He had a guest spot on EPMD's Unfinished Business in 1989 and released his first solo album, Tell the World My Name, on Atlantic in 1990. Originally from Brentwood, Long Island, K-Solo (born Kevin Madison) grew up with EPMD's Parrish Smith and -- along with Redman and Das EFX -- a part of the Hit Squad family. He had a guest spot on EPMD's Unfinished Business in 1989 and released his first solo album, Tell the World My Name, on Atlantic in 1990. Time's Up followed two years later, and signaled the end of the rapper's association with the now defunct Hit Squad and EPMD. K-Solo then moved to the West Coast and signed with Death Row, recording an album in 1996 that was never released amid the label's considerable legal troubles.